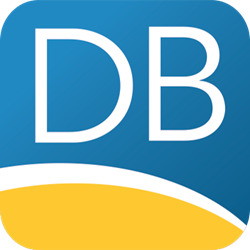 DATABASICS, a provider of time tracking and expense reporting software, announced today that the DATABASIC SuiteApp achieved ‘Built for NetSuite’ status. The new SuiteApp, built using Oracle NetSuite’s SuiteCloud Computing Platform, provides timesheet and expense report integration with NetSuite to simplify the expense reporting process for joint customers. An all-in-one employee reporting system that brings together NetSuite & expense reporting in one easy-to-use app. “With more integrations than ever before, DATABASICS is thrilled to offer more customization for a unified business solution,” said DATABASICS CTO Marcel Syriani. NetSuite’s SuiteCloud is a comprehensive offering of cloud-based products, development tools and services designed to help customers and commercial software developers take advantage of the significant economic benefits of cloud computing. Based on Oracle NetSuite, the industry's leading provider of cloud-based financials / ERP software suites, SuiteCloud enables customers to run their core business operations in the cloud, and software developers to target new markets quickly with newly-created mission-critical applications built on top of mature and proven business processes. Oracle NetSuite pioneered the Cloud Computing revolution in 1998, establishing the world's first company dedicated to delivering business applications over the internet. Today, it provides a suite of cloud-based financials / Enterprise Resource Planning (ERP), HR and omnichannel commerce software that runs the business of companies in more than 100 countries. For more information, please visit http://www.netsuite.com. DATABASICS provides cloud-based Expense Reporting, Timesheet Management, and Invoice Processing automation. Providing global solutions in more than 120 countries, DATABASICS provides web-based and mobile business solutions to a broad spectrum of industries. For over 20 years, DATABASICS has solved problems in expense reporting, time tracking, and P-Card program management for leading organizations around the world. Headquartered in Reston, Virginia, the company also has offices in Montreal, Quebec. For more information, visit http://www.data-basics.com.